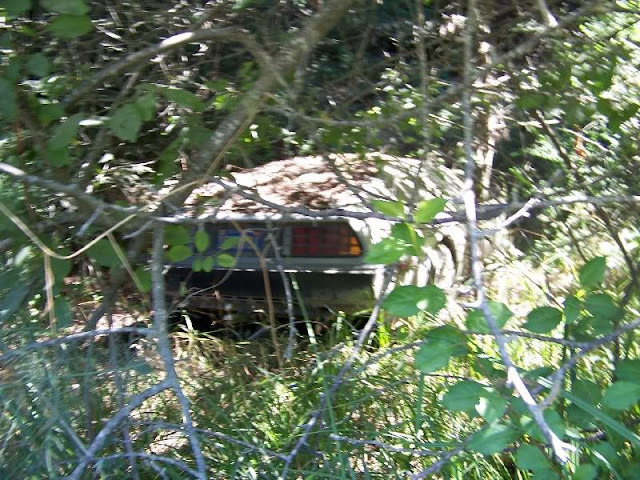 Somewhere, deep in a thick wood in North California, lies this DeLorean DMC-12. 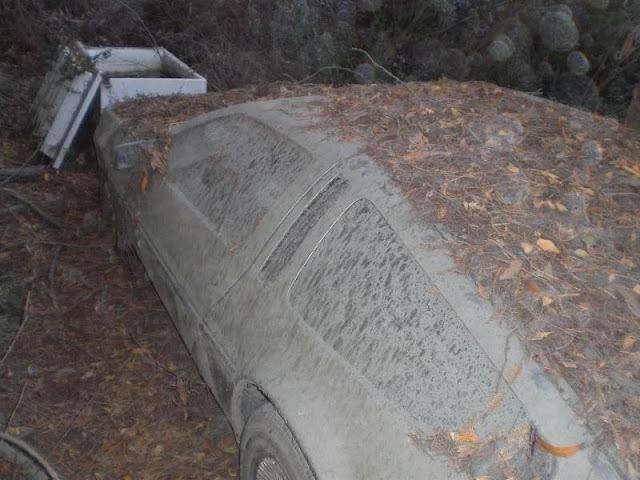 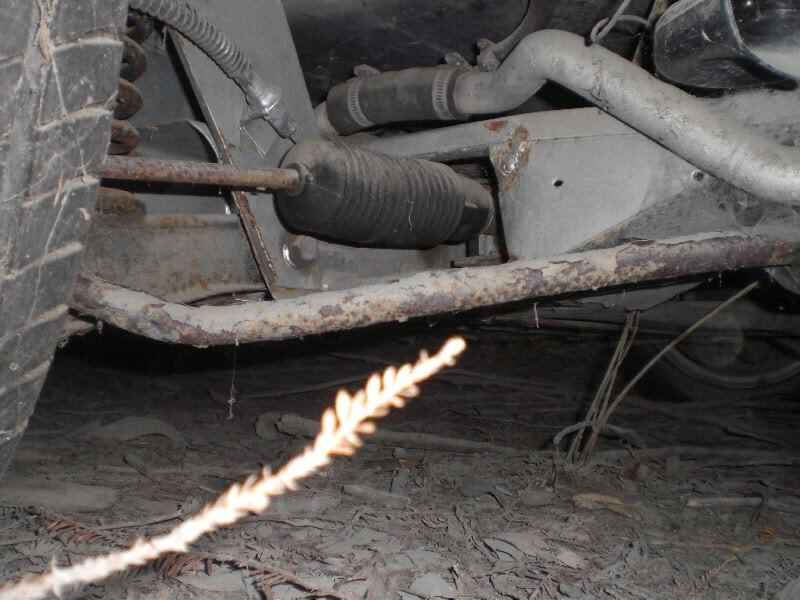 The car was found in 2009 and these photos were posted on a Fiero forum. The DeLorean is in reasonable condition, and could be saved, but it lies on private property - surrounded by trees. The person who took the photos had to scramble through thick vegetation to reach the car. The forum was initially full of enthusiasm that the owner of the property could be contacted and the DeLorean saved. But over time the trail went cold, and nothing happened. 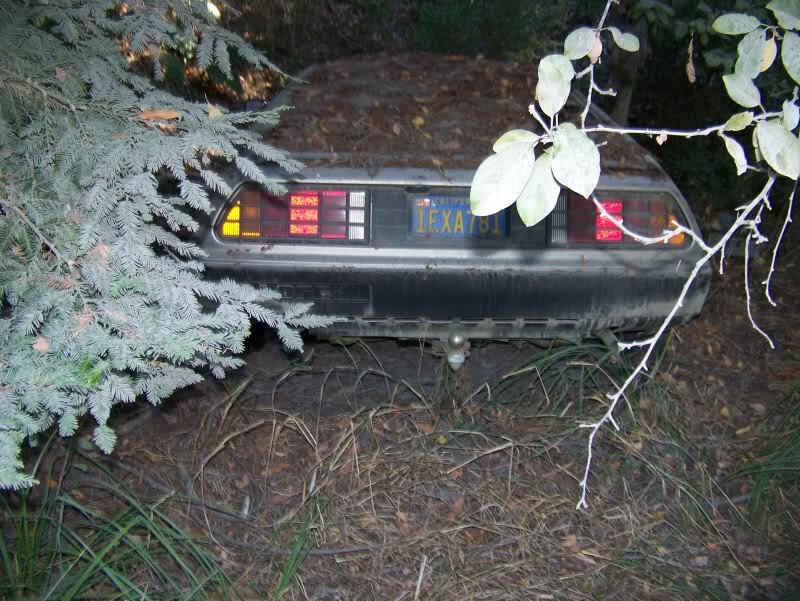 No-one could get hold of the owner of the woods and the DeLorean. 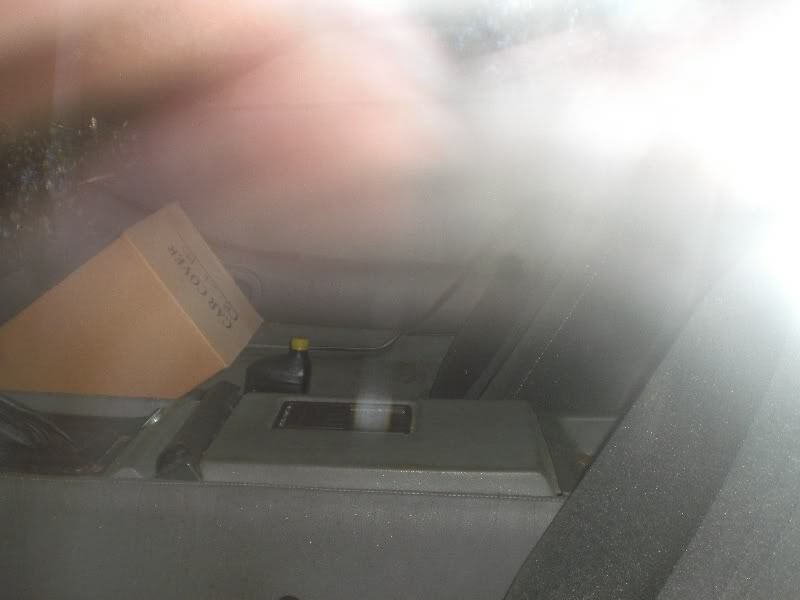 The conversation is revived every year or so but nothing seems to have happened. 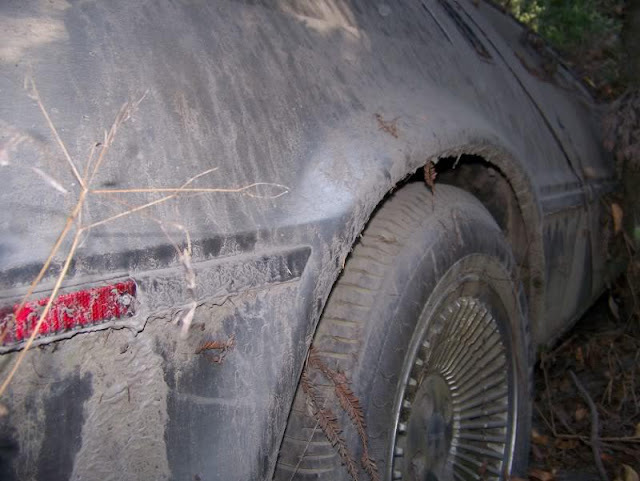 The abandoned DeLorean still lies in a deep wood in North California. 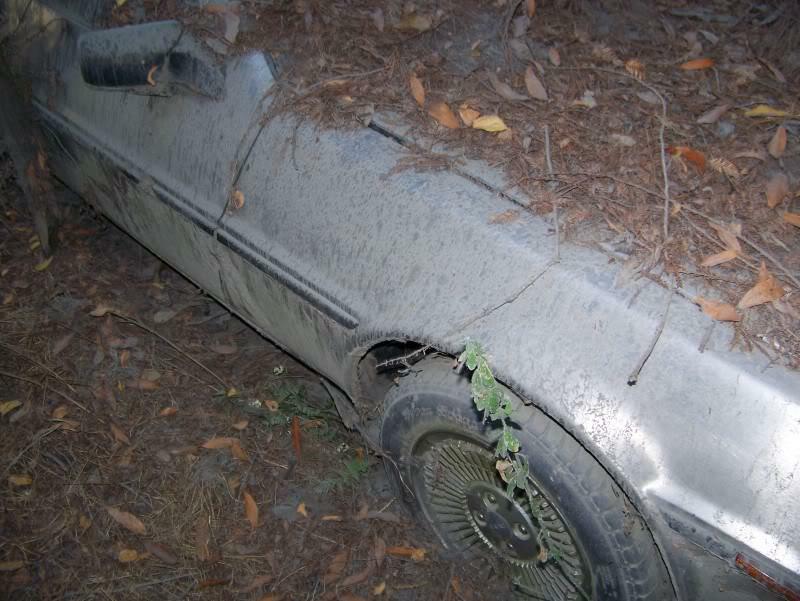 Maybe one day it will be found, and restored.